Everyone that visit Punta on the 50's and 60's visited Park Jean Clevers with its waterfalls, lakes, bridges, majestic vegetation, dreamed paths and its residence "La Caravelle" with its pool made of stone. Mr Levy charged a symbolic ticket that benefited the "Pro Cardia" Foundation presided by Dr. Velasco Lombardini. 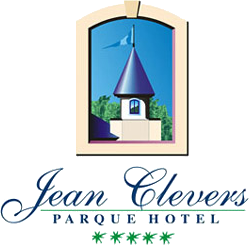 Today, our goal is to re establish all the natural beauty of the historic "Parque Jean Clevers" and the cultural life of those days. Enjoy the charms of French and Spanish at Parque Hotel Jean Clevers, a hotel that revives indelible memories of such legendary Japanese Park.A park of 11.000 m2 garden with its own history where walking by its paths or bridges over the lake shows you different kinds of trees species; Camphor, Araucaria, Blue Cedar, Ceibos, Bald Cypress, Golden Cypress, Magnolias, Palms, â? ?Palo Borrachoâ?, Maritime Pines and Oaks. In the evening all the glamour shows up form different corners of the Parque Hotel Jean Clevers with the best European Style Lighting.